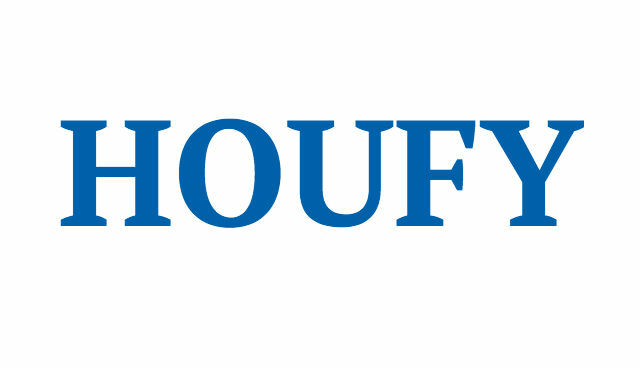 To follow Phyllis Stehlin, please log in to Houfy or create an account. Majestic Views Condo - 4-bd / 2-ba w/Elevator- Large shaded deck overlooking Table Rock Lake & Ozark Hills, access to Indoor Pool w/ Kids Splash pad . Majestic Views at Eagles Ridge is a brand new 4 bedroom Branson property next to Silver Dollar City. This beautiful 3rd floor, 4 bedroom condo is perfect for your next family getaway! Enjoy gorgeous sunsets over Table Rock Lake from the private back deck! The Fully Sized and completely stocked kitchen includes all the necessities to give you that home away from home feeling! Enjoy one of a kind views of Table Rock Lake and the breathtaking Ozark Mountains behind them! Close to the action of Branson MO yet surrounded by the peace and quiet of The Eagles Ridge. It has a comfortable, homey feel just perfect for your vacation -- much more pleasant and spacious than a hotel room, for about the same price. Yet it's just a short drive to most area attractions -- and so close to Silver Dollar City that you will avoid ALL of the typical traffic congestion there. Save money by doing your own cooking in the full kitchen, which is stocked with all the the utensils, dishes, and pots/pans you need -- including coffee and all the fixings for anyone who needs that morning cup of coffee before heading out for the day! After the kids have gone swimming in the pool or lake, you can wash their suits and towels in the full-size washer and dryer. This Branson vacation rental property is within walking distance to kids playground and tennis courts. Tennis balls / rackets are available at the Clubhouse. This unit also has access to an indoor heated pool, splash pad, and hot tub in the new Clear Lake Condo Rentals Clubhouse at the top of the hill. There is also an outdoor pool and splash pad, as well as a fitness center. Our guests often mention access to the Clubhouse amenities as one of the highlights of their stay! This is a brand new Branson vacation rental on the 3rd floor with Elevator with Amazing Views of the Ozark Hills. To grill your favorite steak there is an Electric BBQ grill on the shaded deck. The flooring is a combination of ceramic tile and hardwood laminate. There is a large screen LCD television in the living area. Resort wi-fi is available. Our Branson Vacation rental is a 4- bedroom / 2-bath. There is a king bed pillow-top mattress in the master bedroom, the 2nd and 3rd bedrooms have a King pillow-top mattress. The 4th bedroom has a Queen pillow-top mattress along with Twin bunk bed over a full size futon. All bedrooms have 4H LCD Smart TV's. There is a queen sofa sleeper in the living room and a queen size air mattress is also available. This unit is a close to the small outdoor pool and hot tub down the hill. - Enjoy the resort's community amenities, including an indoor saltwater heated pool, heated kid's splash pads, indoor and outdoor hot tub, 2 outdoor pool, fitness center, kid's playground, and a basketball court! - Utilize the Boat Slip for a fee of $15 per day (First come, first serve)! The marina is 2 miles from the resort. - Check-in center staffed 7 days a week! - Fantastic Branson location! Easy access to fishing, golfing, boating, shopping, entertainment, and restaurants! Check-in time is at 3pm; check-out is at 10am. Eagle's Ridge is only minutes from Silver Dollar City, voted the #1 theme park in the world by the international association of amusement parks and attractions! You can see the roller coaster and hear the train whistle from the resort. Ask about purchasing and printing your tickets off at the clubhouse to save time! Amenities provided for all Eagle's Ridge guests include an outdoor pool and hot tub, playground, outdoor charcoal grills, tennis court, basketball half-court, and a walking path to the lake. The condos are complete. All you need to bring is your personal items, pool towels and toys and groceries. Check in is at 3:00 pm at the Clubhouse at the Landing at Eagle's Nest 39 Songbird Circle Branson, MO 65616 (GPS may saw Reeds Spring, MO 65737) 1-866.811.8241 -If you are checking in after 5 pm [Office hours are 9am-9pm (Mar-Aug), Sun-Wed 9am-7pm / Thu-Sat 9am-8pm (Sep-Dec), and 9am-6pm (Jan-Feb)] please notify the office so we can ensure proper staffing for your arrival. -When you turn on Indian Point Road, stay in the middle lane; you will go 0.8 of a mile and make a right onto CROWS NEST TRAIL; you will drive 0.6 of a mile and make a right at the entrance for THE LANDING AT EAGLES NEST; you have arrived at the clubhouse. -You may check into your unit at 3 pm. We do not allow early check in times to allow our cleaning staff to properly clean each unit before your arrival. -When you check in, please inspect your unit and report any damaged or missing items to The Landing at Eagles Nest Staff within 1 hour of checking in. If we don’t hear from you it will be assumed all is in good working condition with no problems. -If you are checking in after 5 pm [Office hours are 9am-9pm (Mar-Aug), Sun-Wed 9am-7pm / Thu-Sat 9am-8pm (Sep-Dec), and 9am-6pm (Jan-Feb)] please notify the office so we can ensure proper staffing for your arrival. 2 Has a king pillow-top mattress which is adjacent to master bathroom. 7 4th bedroom - Queen pillow-top mattress plus Twin bunk bed over Full futon. **Living room - Queen sofa sleeper. **Air mattress in closet for extra sleeping. **Pack n Play in closet for little ones. Yes this is a Pet Friendly unit. Pet fee is $20/ day. We allow 2 pets up to 20 lbs. Will need permission from owner if Pet is larger than 20 lbs. Pets must be kept in kennel when left alone in unit. No excessive barking (no longer than 10 minutes). Quiet time at 10pm. NO SMOKING IS ALLOWED IN UNIT. Number Parking available in front of unit. We supply coffee, tea for a relaxing cup of coffee on the private deck. We also supply soap for washer, dishwasher, hand soap for bathrooms. Electric Grill on back private deck. **Indoor / Outdoor Saltwater Pool with Splash Pads along with Fitness Center are in the Clubhouse. Need Pool pass to access these amenities. FREE WIFI internet. All TV's are 4HD Smart TV were you can stream Netflix - Amazon Prime - or Huly.. Please bring your Password to access these channels. Fully equipped kitchen so you can cook your favorite meal after a long day of seeing the sights of Branson. Additional amenities for SDC Condos in Branson guests only include boat/trailer parking and boat slip availability (first-come/first-serve, for an additional fee). My husband Kevin and I own 3 units and enjoy sharing our condos with renters from around the country. Our condos are at The Landing at Eagles Nest on Table Rock Lake and behind Silver Dollar City. We have 4-bedroom, 2-bath with elevator with gorgeous views of the Ozark Mountains. One of the 2 bedroom 2 bath and 3 bedroom / 4 bath are next to the Clubhouse with indoor heated pool and kids splash pad. All of our condos has access to the indoor amenities. Must be 25 years old to reserve this unit.